Inuit from Canada and Greenland hope to convince at least four governments to let them manage and travel freely over an international stretch of Arctic ocean that's one of the most productive environments in the North. "We have to educate governments as to what's up there," said Okalik Eegeesiak, a member of an Inuit commission considering the future of the North Water Polynya, a huge and hugely biodiverse triangle of ocean between Greenland and Ellesmere and Baffin islands. 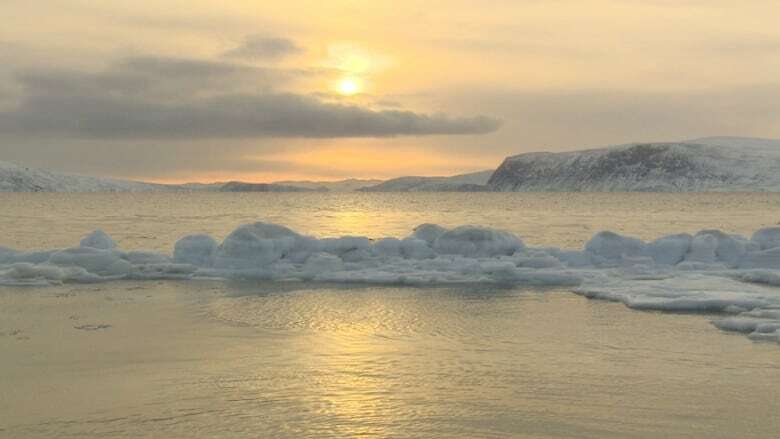 On Thursday, the Pikialasorsuaq Commission released its report on the area of unfrozen sea considered crucial to Inuit communities in Canada and Greenland. It confirmed earlier suggestions that Inuit want to manage the area, establish it as protected and travel freely across it over international borders. They also want to return to the days before Sept. 11 when border controls were looser and Inuit were able to easily travel between Ellesmere Island and Greenland in dogsleds, on snowmobiles or using small planes. The North Water Polynya is an Arctic marine oasis, the largest in the world. Narwhal, beluga, walrus, bowhead whales and polar bears depend on its warmer waters and rich food resources, as do millions of sea birds. Inuit from Greenland and Nunavut hunt in the area. Those who don't still rely on the animals that are born there and migrate to different parts of the Arctic. Inuit are increasingly concerned about the impact of shipping, oil-and-gas exploration and climate change on the waters they have depended on for food for centuries. The Inuit Circumpolar Commission asked for the report, which was developed during extensive community visits in the region. But for the Inuit to get what they want, they have to get agreement from the governments of Nunavut, Canada, Denmark and its territory Greenland, which has self-rule over domestic issues. Municipal governments would probably be involved as well, Eegeesiak said. That's a lot of politicians. "We're up for it," said Eeegeesiak. "I think everybody could be onside." It has been done, said Michael Byers, an Arctic expert and professor of international law at the University of British Columbia. "As long as two bordering countries agree, they can craft just about any kind of co-management regime for a transboundary ecosystem," he said. Similar, if informal, agreements already exist between Inuvialuit in the Northwest Territories and their Alaskan neighbours. France and Spain have a formal deal on governing a small island between them. It's co-managed by neighbouring municipal governments in the two countries. "The Pikialasorsuaq Commission's proposal is very sensible," said Byers. "The Inuit of Canada and Greenland are perfectly positioned in terms of both geography and knowledge to manage this unique and sensitive ecosystem."